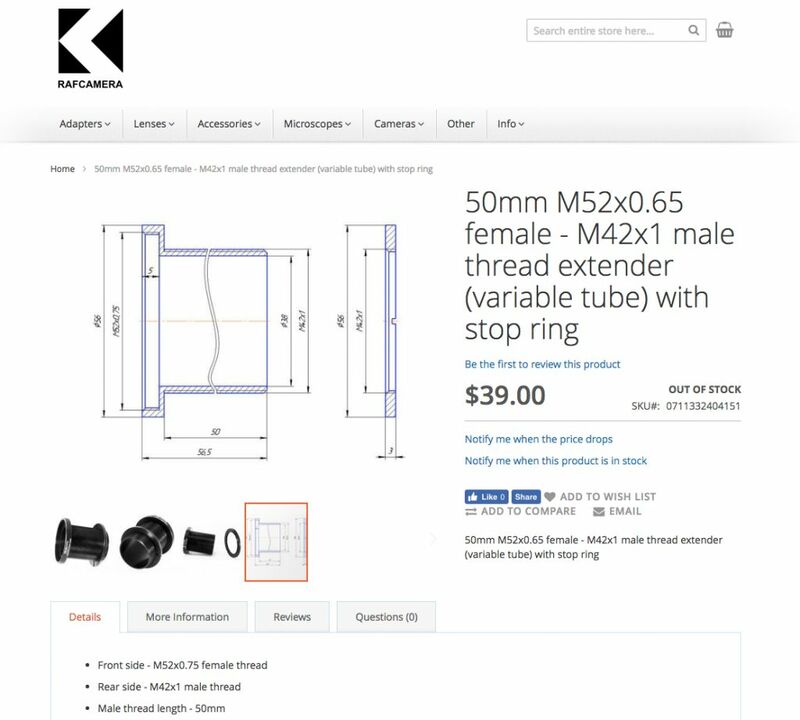 Is there an adapter available adapting a 52mm filter to M42 thread? Not sure if this would help but Raf camera made these for me for the same purpose, but to mount a tube lens! I use the same type of adapter now and they are very useful to have. Also https://www.amazon.com/Gadget-Place-42mm-1-0mm-Adapter/dp/B01F6XZ7F8, though the last time I ordered one of those, the machining was not so good -- right pitch but depth visibly off. Thanks Rik, that is exactly what I was searching for. I used "M42x1" without a blank, may be that's the reason why I found nothing. Thanks Robert, I do not need the length but otherwise this would have been a solution.